Ven. Lama Kunga Rinpoche will kindly bestow the empowerment of the Blue Jacket Vajrapani. Vajrapani (Tibetan: chag na dor je. English: the Vajra Holder) is the wrathful yidam, representing the power of all Buddhas. 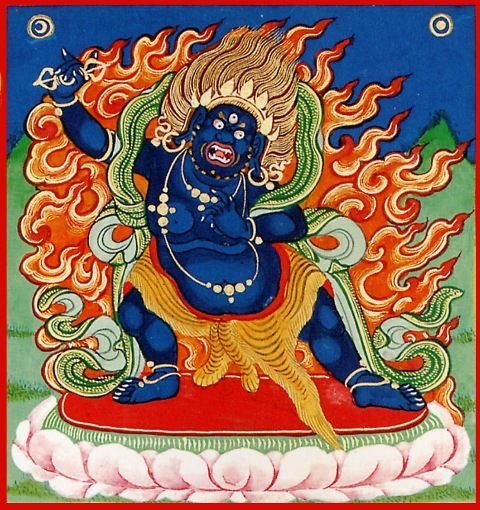 The Blue-jacketed Vajrapani is an uncommon practice in the Sakya tradition said to reverse negative forces and obstacles that are beyond the control of the practitioner, such as bad spells, curses, and ill wishes. This practice also helps to stop naga diseases, such as infectious blood diseases.